And how can anybody not smile when you see your baby all dressed up like this? 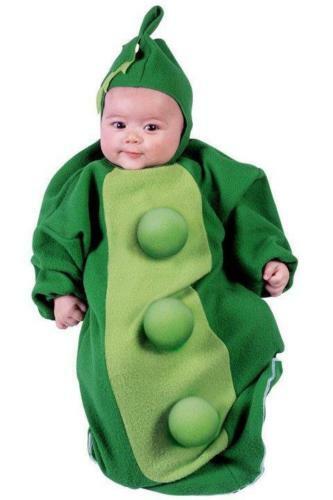 Adorable little Sweet Pea costume from Bizzy Bumpkins is too cute to pass up! Your little one will be a Halloween star! Tights and turtleneck not included, fits babies up to 25lbs. Your baby will enjoy parading in this little sweet number! And so will you, Mommy!